For the first time, Treasury Secretary Steven Mnuchin on Monday offered a specific month for when the government might come dangerously close to breaching its legal debt limit. "I am comfortable saying we can fund the government through the beginning of September. I would prefer not to give a range at this time," Mnuchin said at a House Appropriations subcommittee hearing. Since mid-March, Treasury has been using special accounting measures to keep the government from defaulting on its obligations. 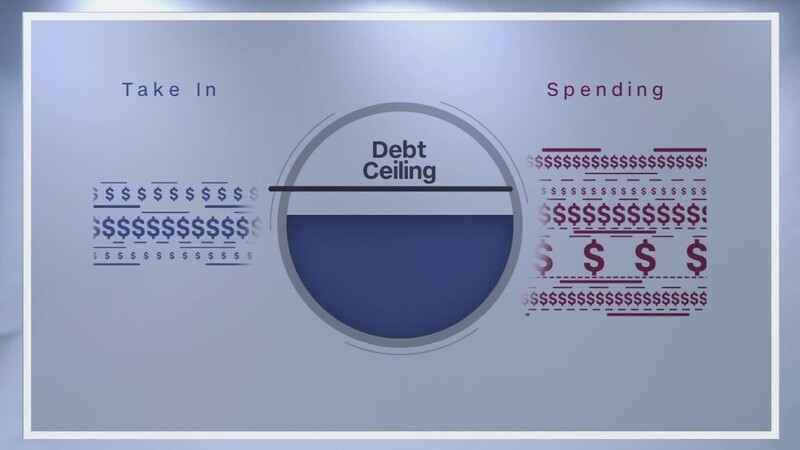 If Congress does not raise or suspend the $19.81 trillion debt ceiling before those measures are exhausted, Treasury would not have enough cash and revenue on hand to pay all the country's bills in full and on time. Such a situation could create significant disruption in markets and ultimately the economy. As he has for months, Mnuchin urged Congress to move on the debt ceiling before going on recess for the month of August. "Markets don't want us to wait. The sooner we do this the better. There could be events in the world that could make it more difficult for us to borrow." He also noted that if Congress doesn't act before August, "we do have backup plans that we can fund the government. So I want to make it clear that that's not the time frame that would create a serious problem." Mnuchin did not specify what he meant by "backup plans" beyond the extraordinary accounting measures already available to him. Treasury did not immediately respond to a request for comment. Lawmakers are scheduled to return to work on September 4 after their summer recess. At this early stage it can be difficult for Treasury to be specific in its estimate since revenue flows aren't entirely predictable. As it is, tax receipts are running about 3% below estimates through May, according to the Congressional Budget Office. One theory is that some tax payments are being deferred in anticipation of tax reform, or at least tax cuts. More clarity on whether the drop is temporary or a trend may come in early July. That's when revenue data showing quarterly tax payments from June will come out, according to the Bipartisan Policy Center. As of Monday, BPC was holding to its earlier estimate that Treasury is likely to run short of cash sometime in October or November. But that "X-date" range is highly uncertain, BPC researchers noted. In any case, it "should not be viewed as the deadline by which Congress needs to act to avoid any debt limit related consequences," they noted. "Costs are actively accruing daily, most obviously in the form of Treasury Department employees' time as they monitor cash flows and manage the use of extraordinary measures. More significantly, in past years, as Treasury approached the "X-date," interest rates increased, costing the federal government tens of millions of dollars in 2013 alone."